The RG37XT is an excellent stump cutters for those who need a compact machine that has traction to get where tires just won’t take you. The rubber track undercarriage provides excellent traction while maintaining a low ground pressure. 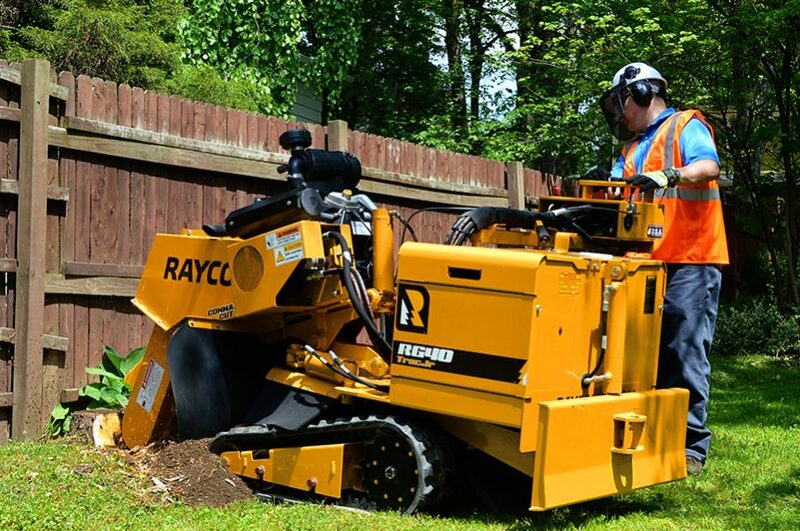 Unlike other track stump cutters, the Trac Jr’s short track base allows it to turn easily and with less turf damage than competitors long track bases. Counter rotating tracks allow the machine to turn in place, which makes it easy to re-position when cutting large stumps. A swing-out control station provides excellent visibility while cutting and swings in line for travel through gates. Two-speed travel and a hydraulic backfill blade rounds out the package makes the Trac Jr an excellent choice among compact stump cutters.